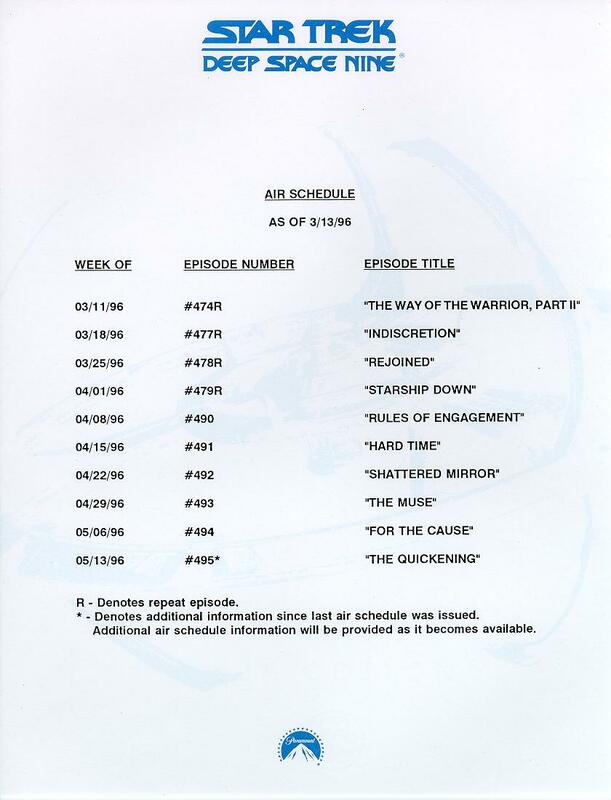 To see the official Paramount episode promo, AVI format, select the Production Number. 136 1/31/98 536 not given Who Mourns for Morn? 7/04/98 536R not given Who Mourns for Morn? Last modified on Monday, 18-Jul-2011 03:50:31 CDT.